Ask us about our Maintenance Warranty Program through Valvoline. Offers cannot be combined with any other coupon or discount offers. We perform full service oil change. Whether you need a standard oil change or a full synthetic one, give us a call. *Most vehicles. Call for details. Ask about our oil/smog combo special to save even more! Help maintain the life of your transmission with our Valvoline fluid exchange program. 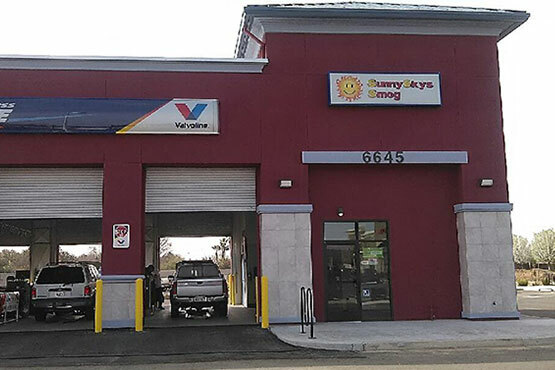 When you need your vehicle’s coolant system flushed, bring it to SunnySkys Smog. We take care of everything to get you back on the road. Get your wholesale tires or wheels at our SunnySkys Milburn location. Tire rotations & alignments available as well. When you need your transmission serviced, bring it to SunnySkys Smog. Give us a call for accurate pricing on complete fluid exchanges. For proper brake function that you can count on all year long, give us a call. We handle brake fluid exchanges on most vechicles. One of the most commonly overlooked areas of any vehicle is the power steering system. We perform professional fluid exchanges. We are able to do an evacuation safety inspection and full recharge of R134a. Give us a call today for more information.